of Atlanta - Recruiters specializing in executive placement within the Battery, Chemicals, Human Resources/Finance, Packaging, Plastics/Polymer Technology, Transportation/Logistics, and Power Electronics Industries. of Person County specializes in plastics, automotive, furniture, engineering, manufacturing, quality and materials management. Recruiters for Engineering, Manufacturing Management and Maintenance Management for Consumer Products, Automotive, Pharmaceutical, Chemical Process and Metalworking Industries. Specializes in the placement of executive and professional talent. Information for employers, career opportunities, resume submission, and performance management tools. The site is set up to for job seekers and employers as a means to provide links and information pertaining to Recruiters and Employment Agencies. 12 Management Recruiters of Hudson. The Graham Group - serves clients in the following industries: Financial Services, Insurance, Benefits, Property & Casualty, Construction, Project Management, Architectural Design & Engineering. Construction recruiters for mid-level and senior managers. Company description, resume submission, job listings. of Baltimore/Timonium is a full-service global recruiter specializing in engineering, plastics & packaging, information technology, sales & sales management, administrative & temporary placements. A searchable directory of recruiters organized by industry specialty and location. Professional search and recruitment firm with a searchable job database. Orange County, CA - Recruiting firm serving clients throughout the USA. 24 Management Recruiters of McRae. of Paso Robles - specialize in all areas of Healthcare and Finance. of Columbia, MD - Specializing in the plastics and packaging industries nationwide. of Bucks County - specializing in the commercial construction industry. The Morisey Dart Group - specializing in Aerospace, Financial Services, Physicians & Surgeons, Pharmaceutical, Manufacturing, Technical Services (IT), Consulting Services (IT), Document Management, and Engineering. Recruiters of property and casualty insurance industry personnel. Provides job seeker services, current open positions, an employer page, and contact information. Recruiters providing jobs and candidates for the AIDC industry including Auto ID, Bar Code and Data Collection. DRI also specializes in Label, Material Handling and Packaging jobs. Resume distribution service to recruiters, executive recruiters and headhunters. If the business hours of Management Recruiters in may vary on holidays like Valentine’s Day, Washington’s Birthday, St. Patrick’s Day, Easter, Easter eve and Mother’s day. We display standard opening hours and price ranges in our profile site. 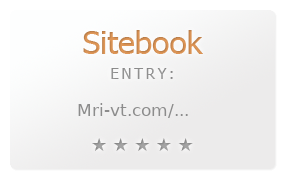 We recommend to check out mri-vt.com/ for further information. You can also search for Alternatives for mri-vt.com/ on our Review Site Sitebook.org All trademarks are the property of their respective owners. If we should delete this entry, please send us a short E-Mail.